Hertford St Andrew had the special opportunity to share in the success of one of our Year 6 pupils last week. Gloria Myalti has been participating in a gymnastics competition where she performed an intricate series of tumbles before a panel of judges. 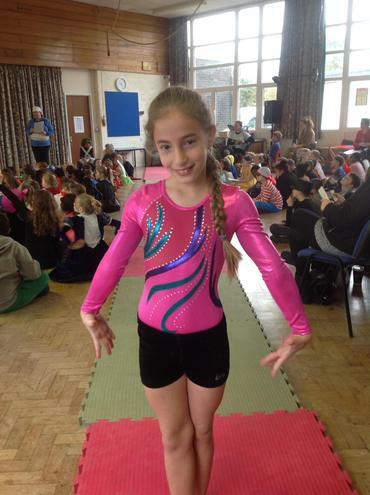 She performed to an exceptionally high standard and was awarded the gold medal which means she has won the regional preliminaries and has now progressed onto the national finals. Gloria thrilled us all by agreeing to perform her sequence in our celebration assembly and we were all totally amazed and impressed by the standard at which she performed. The finals are to be held on June 16th in Birmingham and we all wish Gloria the best of luck.